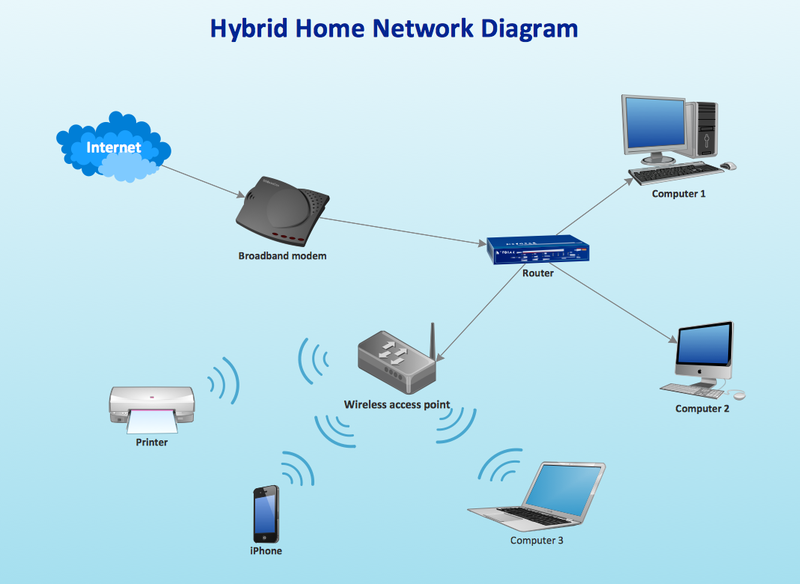 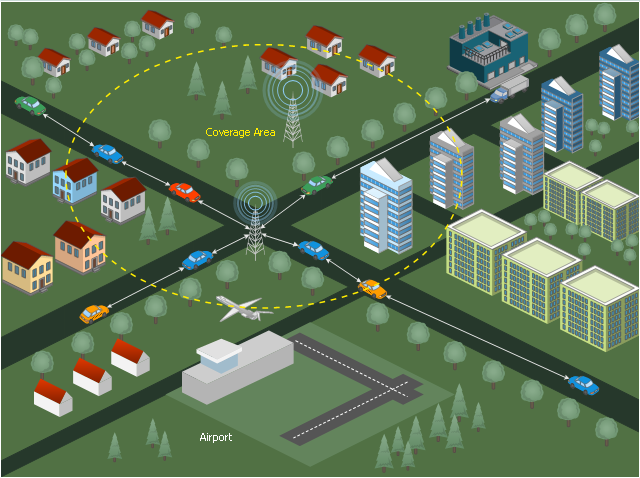 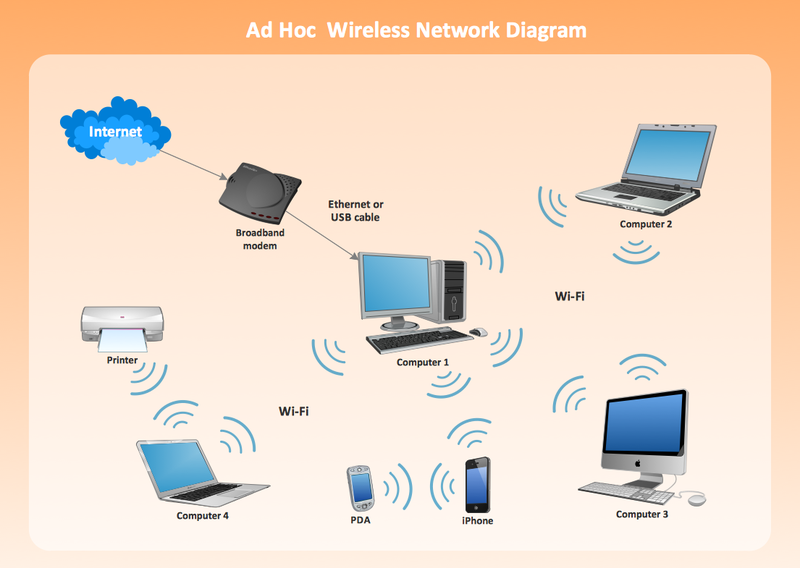 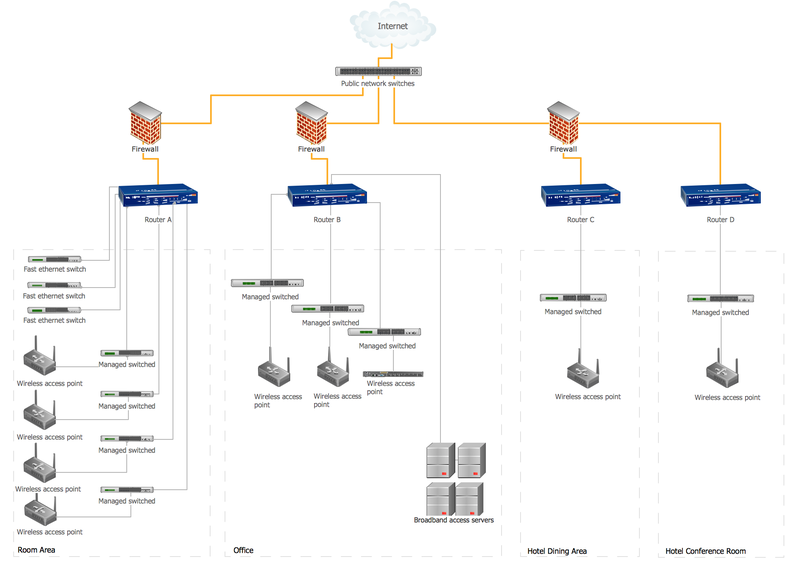 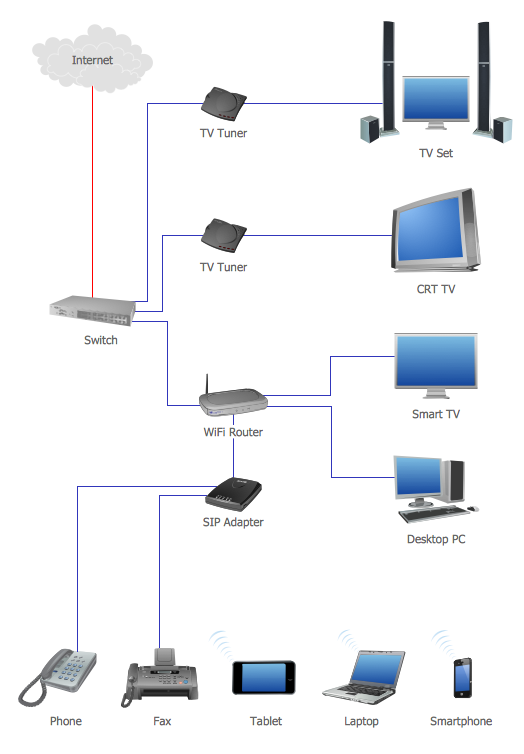 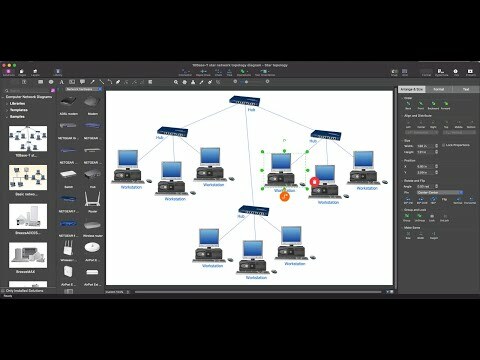 This infographic sample visualizes the Conventional and wireless ad hoc network. 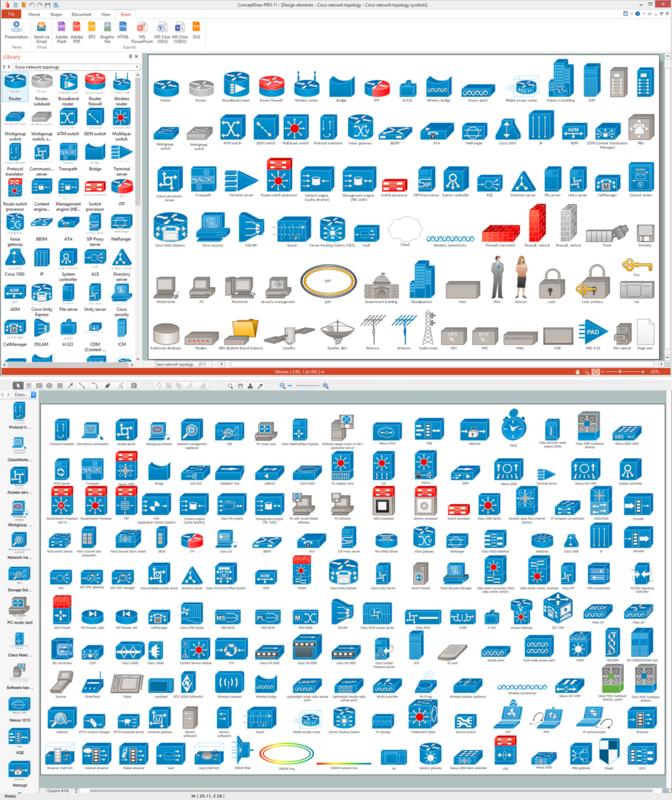 It was designed on the base of the Wikimedia Commons file: Běžná bezdrátová síť a ad hoc síť.png. 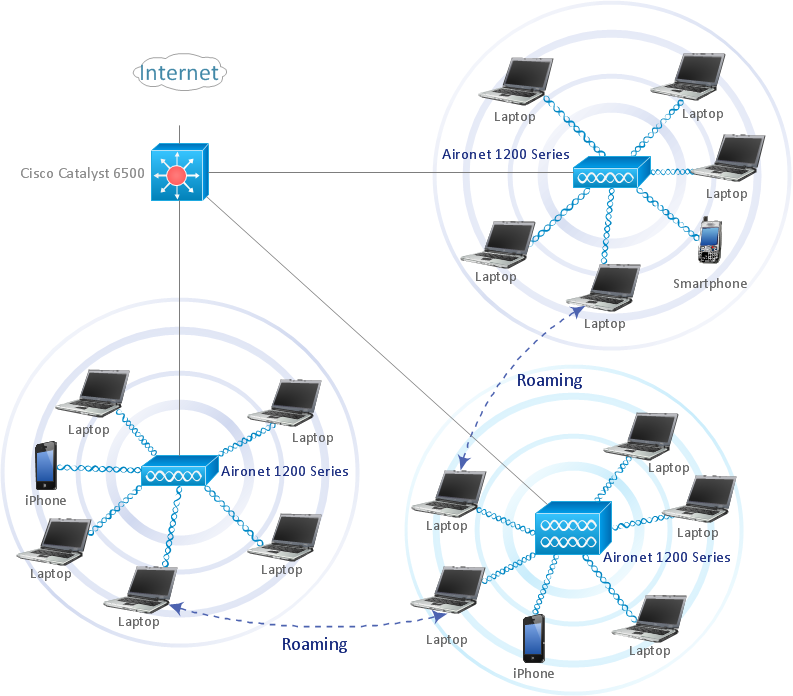 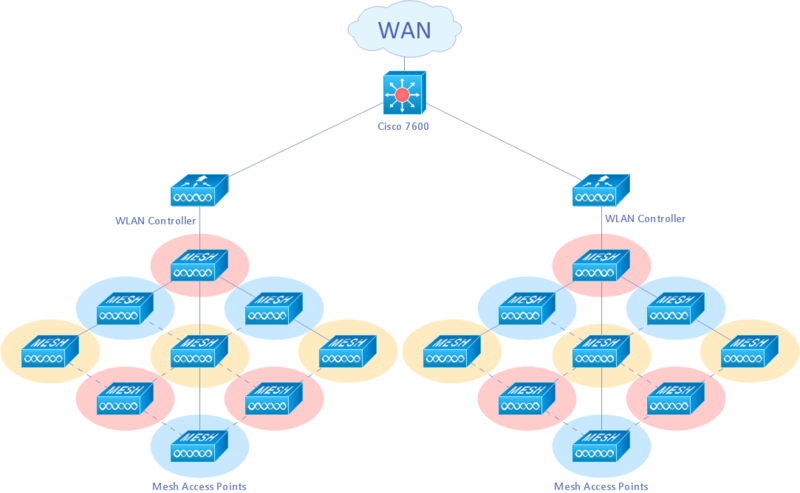 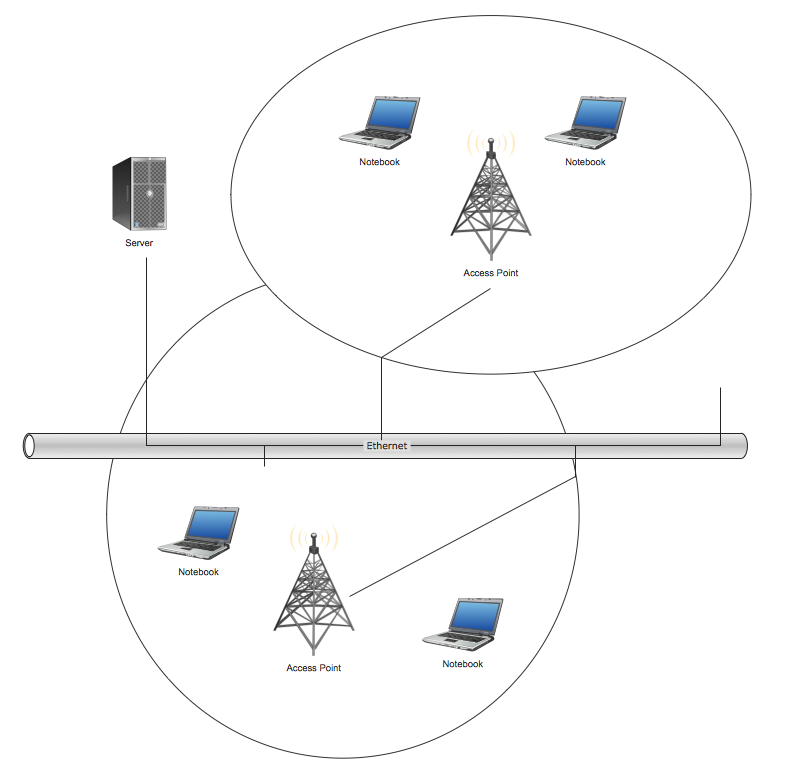 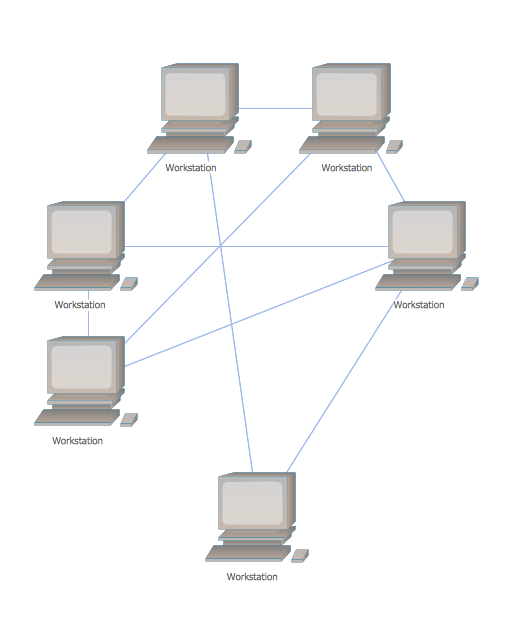 "A wireless ad hoc network (WANET) is a decentralized type of wireless network. 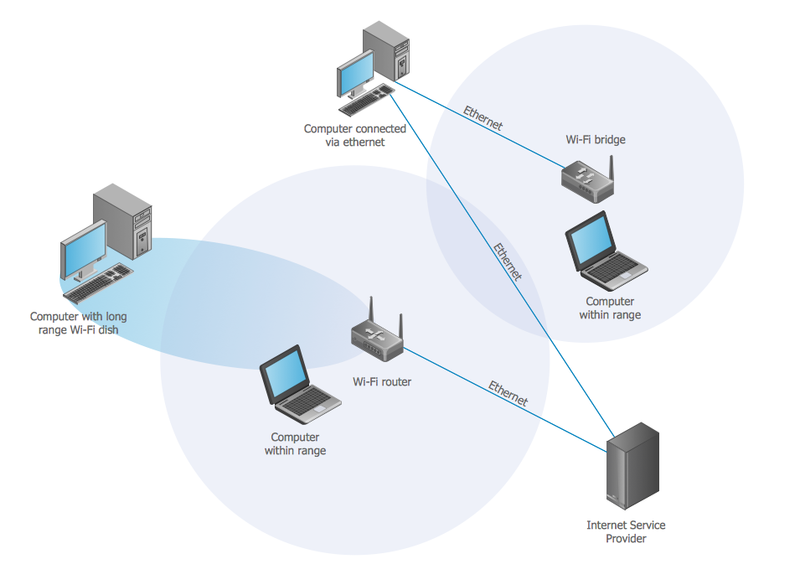 The network is ad hoc because it does not rely on a pre existing infrastructure, such as routers in wired networks or access points in managed (infrastructure) wireless networks. 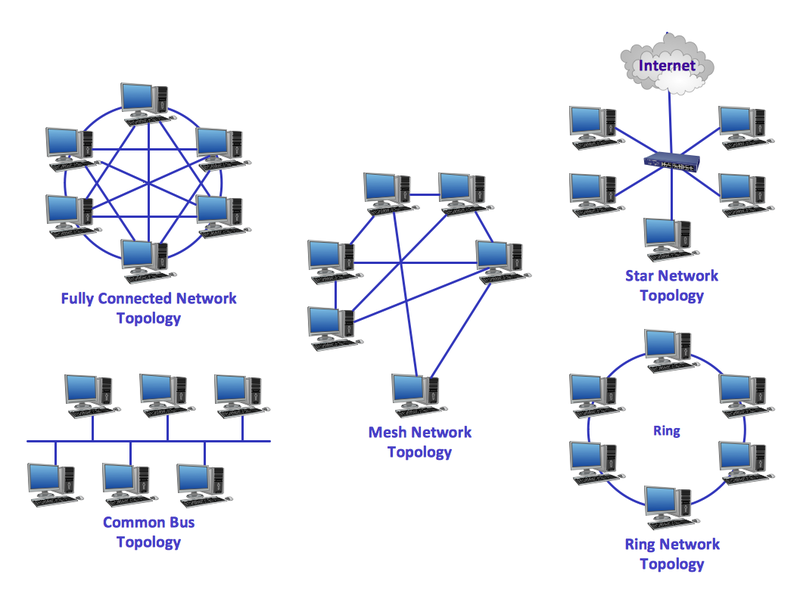 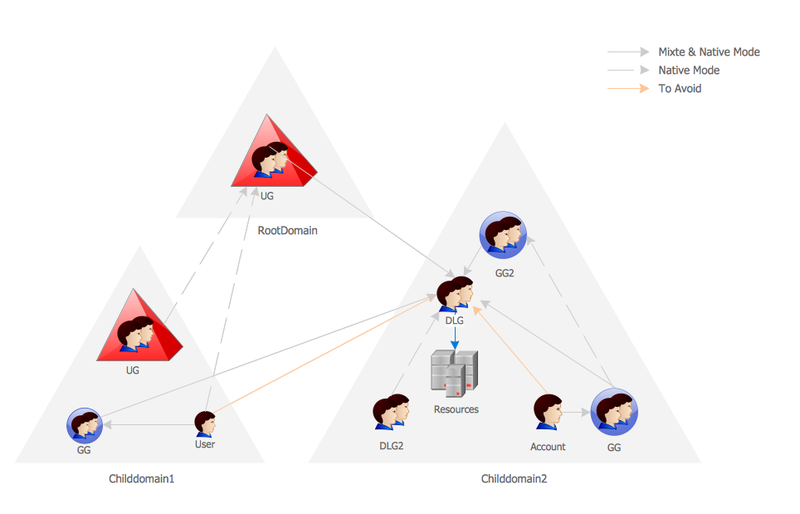 Instead, each node participates in routing by forwarding data for other nodes, so the determination of which nodes forward data is made dynamically on the basis of network connectivity. 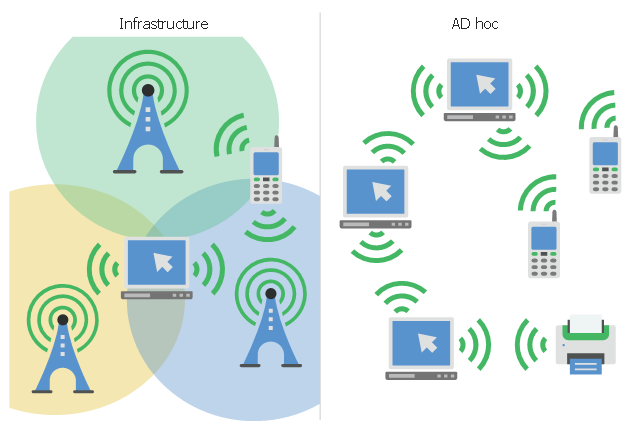 In addition to the classic routing, ad hoc networks can use flooding for forwarding data.